Valentine’s Day is right around the corner. Literally! I found this look for under $35…. Welcome to my new lifestyle blog!! I’m Tee the SELF-PROCLAIMED FASHIONISTA, COOK, AND TRAVELER. I want to help creative, strong women conquer life. I have a love for food, fashion, and traveling. I have an even BIGGER love for doing all of this on a BUDGET! Of course like the rest of you I want it ALL. Family, career, and success as an independent woman without BREAKING the bank. I will show you how I achieve all of this while on a BUDGET. Sara Welch on Black Friday @ Shein!! Curlywhipped on Black Friday @ Shein!! Ola @ WanderWithOla on Black Friday @ Shein!! Alissa on Black Friday @ Shein!! 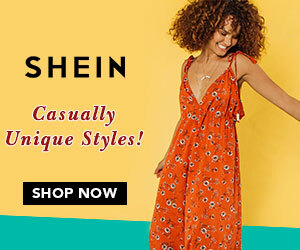 The Perfect Fall Looks For Less From Shein!! Shein!!! Great Boutique For Budget Fashionistas!!! Want To Keep Up With Tee?